Make Your Voice Heard for Wetlands and Streams!! Tell the EPA NOT to strip protections for wetlands and streams!! A guide to RSPO palm oil sustainability initiatives. Read the label on your Vegan soap: It might not be as animal friendly as you think! Plastic-Free February! Will You take the Challenge? Take the Plastic-Free February Challenge! Here’s how! Ideas for thoughtful gifts that bring joy and do good! Monarchs Arrive at Overwintering Grounds! Waves of migrating monarch butterflies are reaching their wintering grounds in central Mexico! 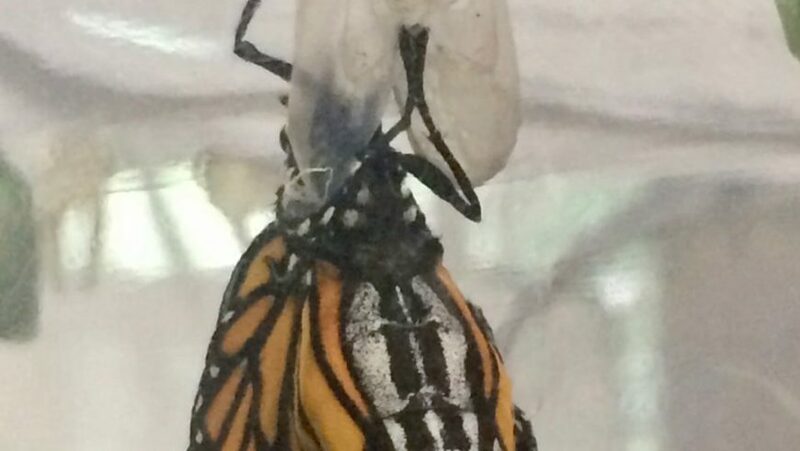 Watch a monarch emerge from her chrysalis! Bird-Friendly Coffee: a delicious and important way to help the planet!